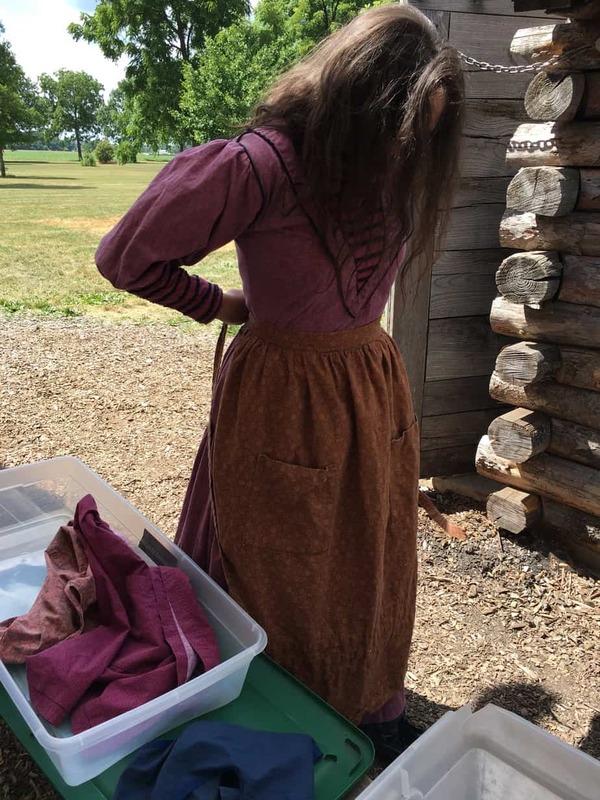 When planning our road trip, we decided that if we were going to go all the way to Oklahoma, we might as well continue on to Nauvoo, Illinois. Nauvoo is a place important in our family history and our church history. 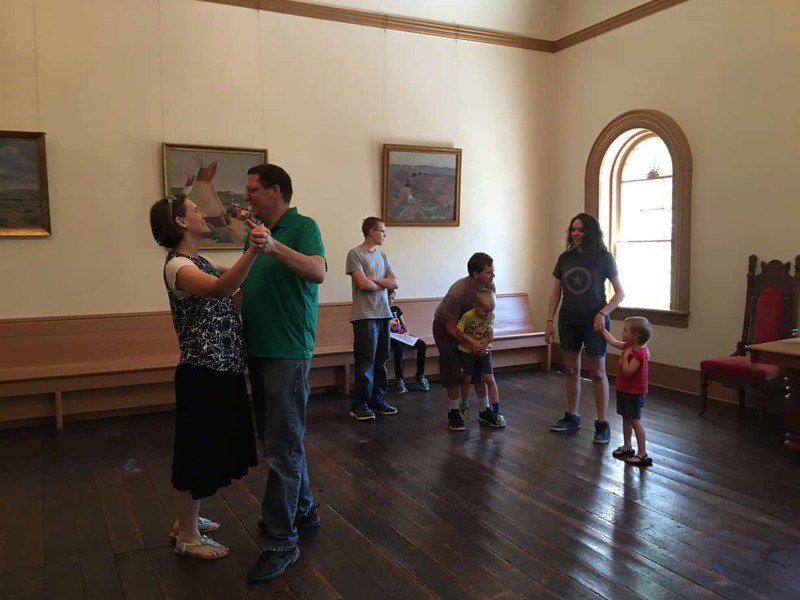 We reserved two days for our visit in Nauvoo, one to explore the living history part of the city, and another to spend in the rebuilt Nauvoo temple. During our school studies this past year, we focused on the Westward Expansion of the United States from the Louisiana Purchase through the build up to the Civil War. As part of our studies, the children each researched two ancestors who came across the country as pioneers in that great westward movement. Many of those ancestors came as Mormon pioneers, and some came through Nauvoo. 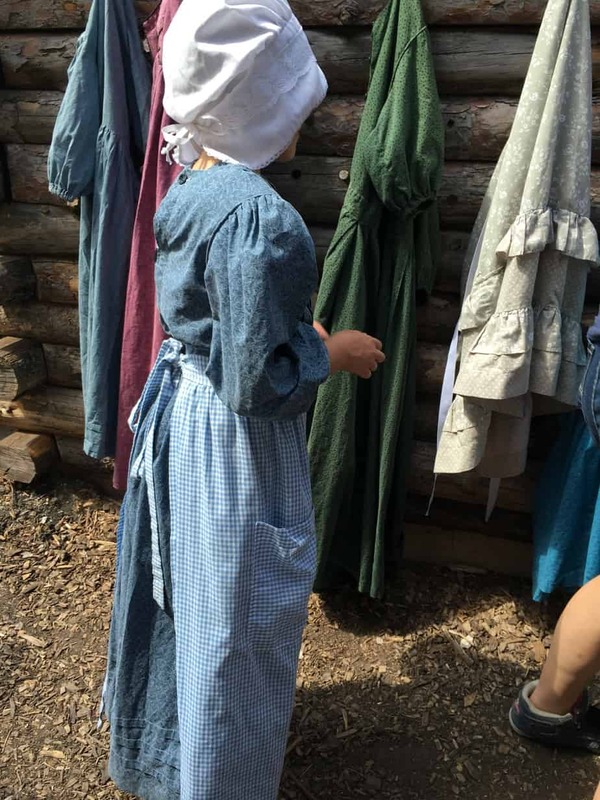 The opportunity to visit Nauvoo in person on our road trip became a perfect supplement to our studies. Historic Nauvoo is really quite remarkable. It is in a sparsely populated area of Illinois; the modern day city of Nauvoo boasts a population of just over 1,100. Given the historic significance of the city of Nauvoo to the Church of Jesus Christ of Latter-day Saints (LDS or Mormon), the Church began buying properties original to the 1840s era of the city in the 1930s. Since that time, the Church has put much time and effort into restoring and rebuilding many parts of the historic city. Historic Nauvoo now sits down the hill from the modern day city of Nauvoo; it is maintained and run by couple missionaries of the LDS Church. During the summer months, young, single, performing missionaries also serve in the city and put on many shows and performances daily. 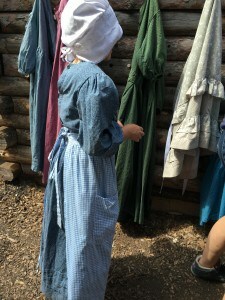 All the missionaries dress in historic “pioneer” clothing, and basically put on a living history museum throughout the city. Since 2002, the rebuilt Nauvoo Temple has also been part of the grandeur of the city. All of these elements combined to transport us back to the 1840s and what life would have been like for our ancestors who lived during this era, and especially those who lived in this city. 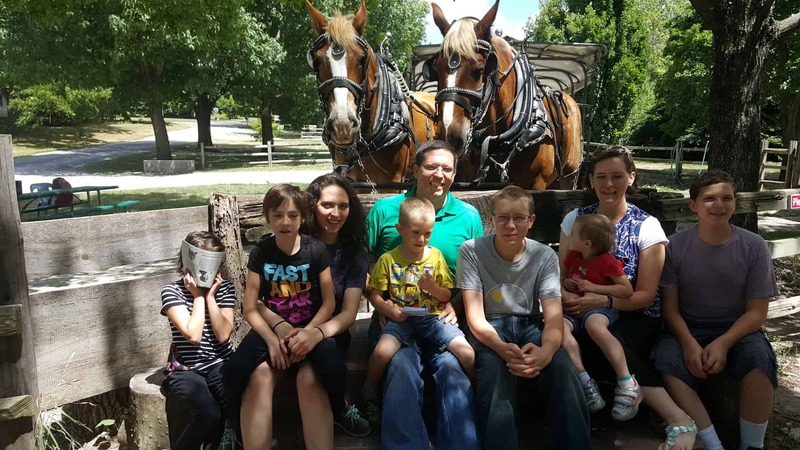 In fact, the children (and my husband and I) enjoyed our first day in Nauvoo so much that we voted unanimously to extend our trip by an additional day to spend more time here. While exploring Historic Nauvoo, we learned about gunsmithing, newspaper printing, rope-making, brick-making, games and toys pioneer children would have played, daily chores that were a regular part of frontier life, candle-making, barrel-making, bread-making, sending letters through the post, medical and dental practices of the time, what one could buy at a general store, the one-room schoolhouse, etc, etc. 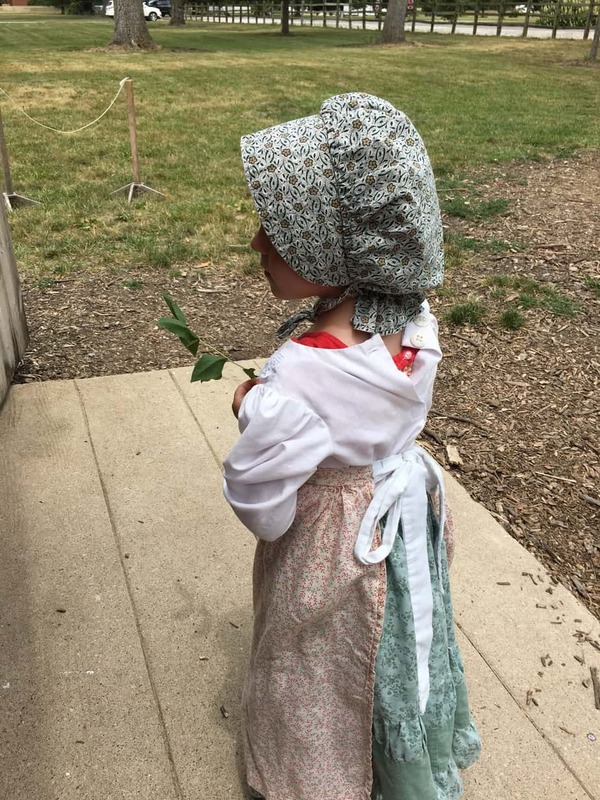 Several children relished the opportunity to dress as their ancestors would have nearly 200 years ago. We were reminded of the reasons that pioneers first came to settle Nauvoo, and the forces that pushed them out and on further west. We marveled at the very small cabins that many families called home. We were amazed at the self-reliant skills these people possessed, and a little saddened to think that we have completely lost many of those skills in our modern society. 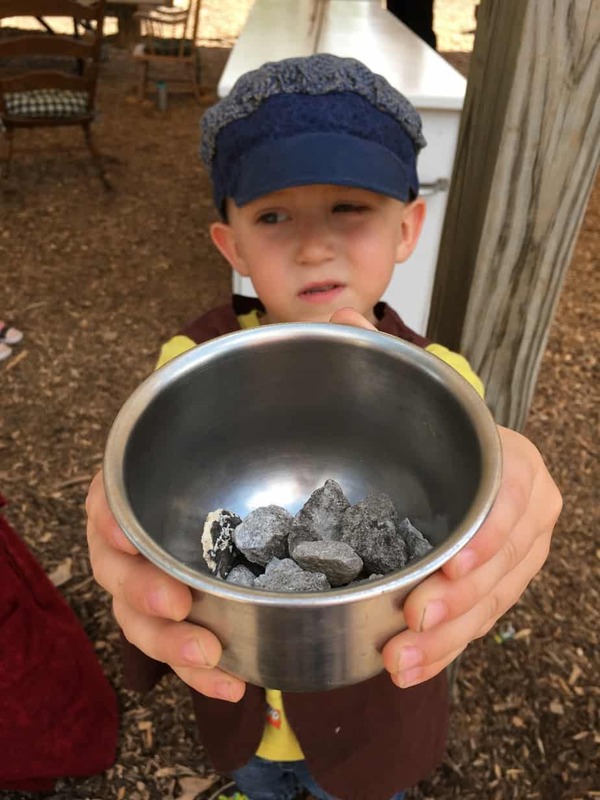 Through it all, the children would make a comment here or an observation there about how different aspects of what we were learning tied back to the pioneer ancestors they had studied. 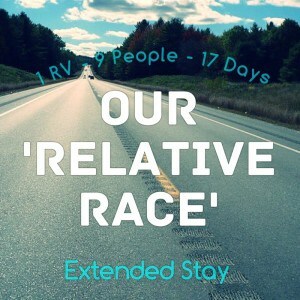 To me, it felt like our three-day drive home after Nauvoo was part of our “pioneer experience” as well. After all, we were basically following the route taken by the exodus from Nauvoo, as well as many other pioneers on the Oregon and Mormon Trails. 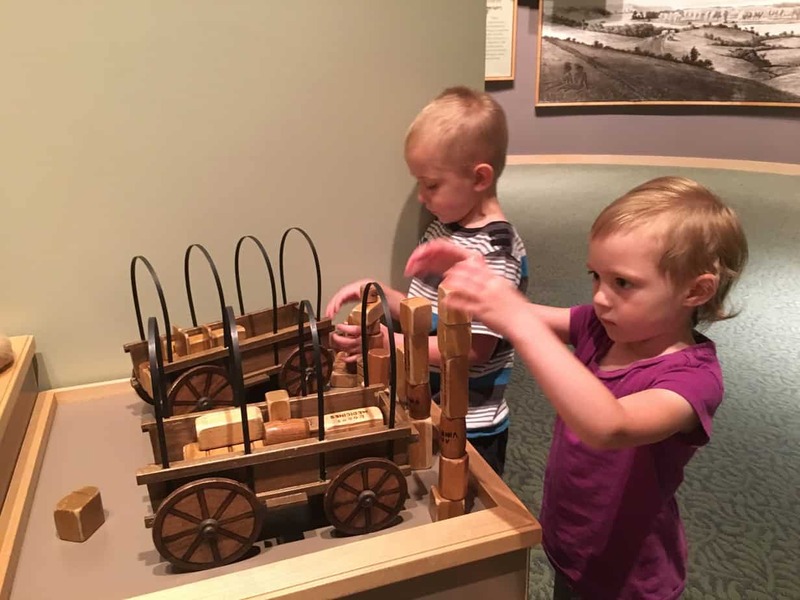 We stopped for lunch on our first day of the drive home at Winter Quarters in Nebraska, where the youngest children spent nearly an hour “packing” scale model supplies into “wagons”. As we drove past field after field and undulating hill, after undulating hill, we reflected on the length and trials of the journey taken generations before. 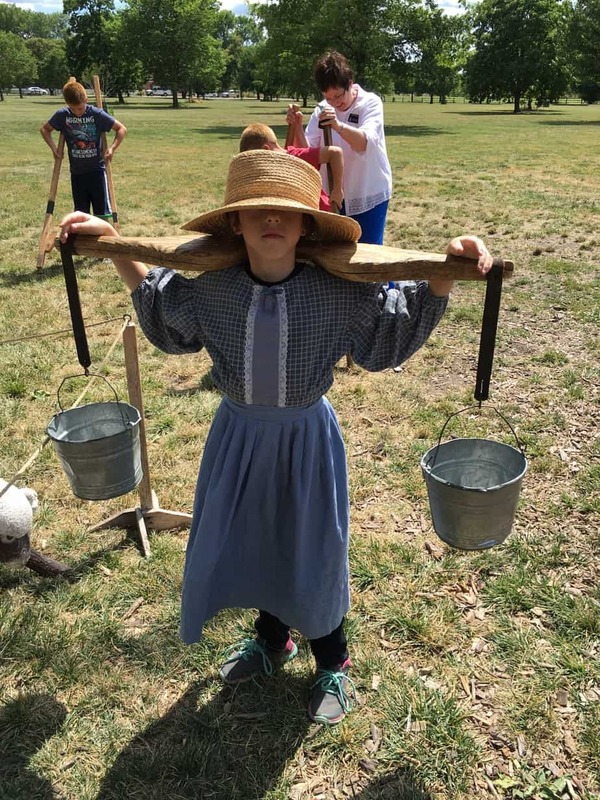 Of the many, many activities and destinations we visited on our epic road trip, most of the children chose our Nauvoo experiences as their favorite. It was a fantastic chance to step into our family history and church history.